Hey guys! I got back from SC in the middle of the night last night and just drove home this morning from my grandparents house. I need a few days for all this to sink in before I re-cap it all for you! So today I have another lovely lady here to talk to you about food allergies. 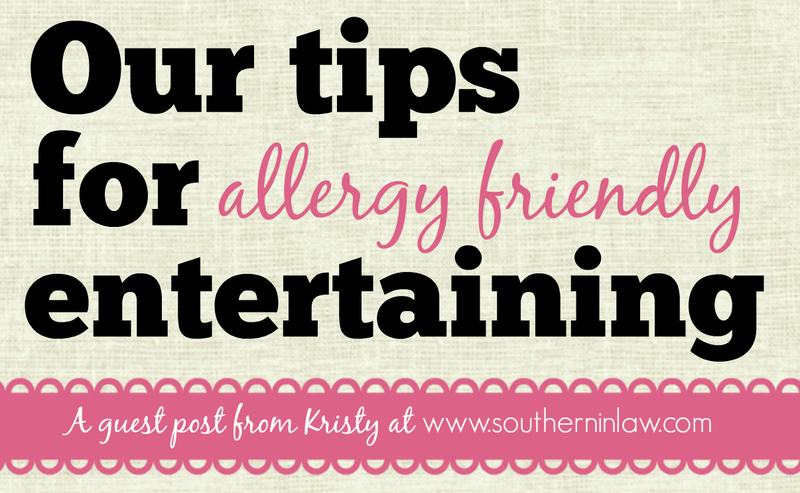 More specifically how to entertain with food allergies! Kristy is my allergy-blend counterpart. She is super sweet and always has the most delicious looking recipes and fun post ideas! She lives in Australia with her new husband Jessie who is from the states! One day I hope to meet them too (why is traveling so damn expensive?). Anyway, I will let Kristy take it away and enlighten you with a wonderful post. I hope you all enjoy, see you back here soon! about whatever comes to mind share the lives of myself and my husband Jesse as well as to share our healthy, allergy friendly recipes! When Rebecca asked me if I’d like to write a guest post for her, I jumped at the chance! Rebecca is a total sweetheart and I know she understands, just as I do, that when you have allergies or intolerances it can be pretty hard to feel included. You quickly realize that just about every social interaction revolves around food, food that you can’t eat – coffee catch ups, dinner parties, baby showers, birthday cakes, Christmas dinners – so many things that we love to do with our family and friends can actually make us feel really left out and alone. I love entertaining and I always have, but my allergies do make it quite difficult to include myself in the fun. I used to cook for everyone else and have a separate meal for myself, but I soon realized that wasn’t fun and I could create a meal that we could all enjoy together – just the way that it should be. Over time, I’ve come up with ways to do just that – and now I always make sure that there’s something for everyone, regardless of allergies – and I’m teaching my friends and family that allergy friendly, healthy meals don’t have to be boring or disgusting. Last year, Jesse and I hosted a combined party to celebrate My 21st Birthday and Our Engagement and I knew that we needed to come up with a menu that included everyone as we had a crowd of family and friends coming over. Before we knew it, it was Our Wedding Day and we were thinking of menus all over again. Jesse decided that he wanted us to have an entirely gluten free wedding menu as he wanted to make sure I enjoyed the day without fear of getting sick. 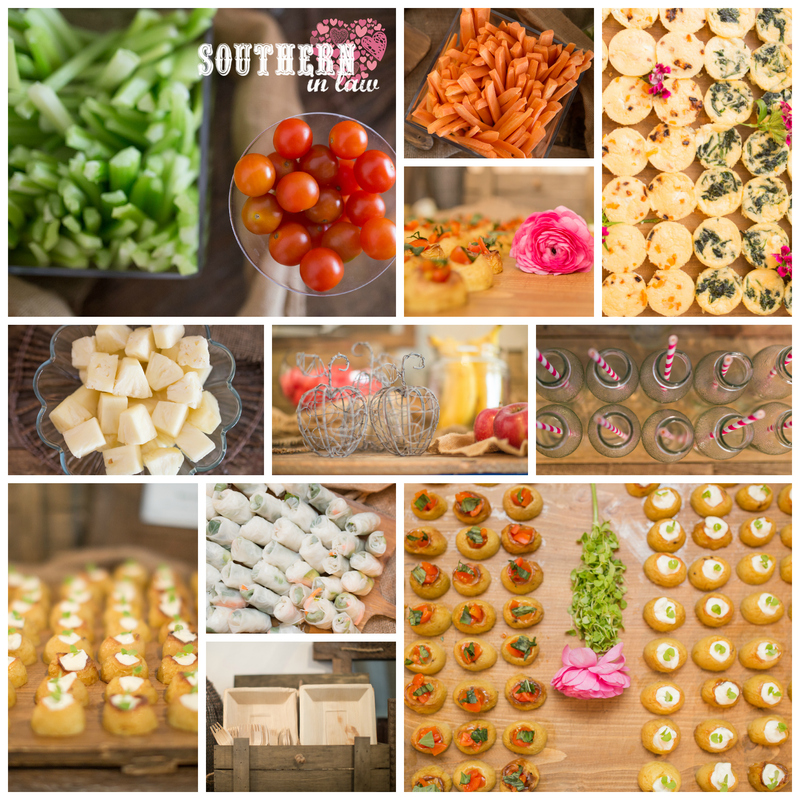 It was hard finding caterers willing to do just that, but in the end we found a caterer who would cook our recipes and create the menu we’d planned ourselves and they executed it perfectly! We had a buffet/grazing table with gluten free, vegetarian, vegan and paleo options, a gorgeous fruit and vegetable bar with homemade dips and the most incredible gluten free wedding cake. We even managed to create an entirely gluten free candy buffet. It was hard work, but so so worth it. We didn’t have a traditional wedding menu, but our guests loved it and so did we and that’s all that matters. This year, we’ve been at it again! 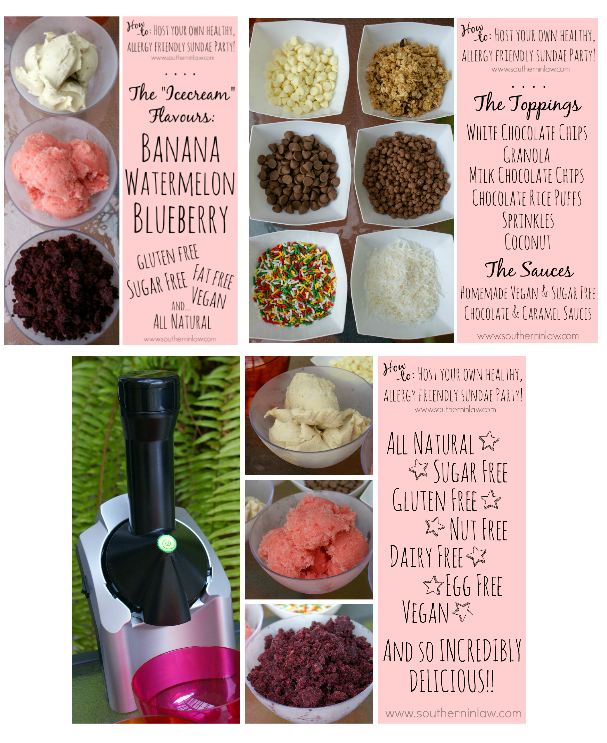 We hosted our own Healthy Brunch Party (which was entirely gluten free with many vegetarian, vegan and allergy friendly options) as well as a Healthy Sundae Party that was also gluten free and allergy and vegan friendly. It takes a little bit more effort to host an allergy friendly party, but that effort is so worth it when you can host a party that everyone can enjoy – including yourself! Don’t over complicate things or you’ll end up stressing yourself out. You don’t need to make a million and one things, you just need to provide options. It might be as simple as cooking up some gluten free pasta and a regular pasta version to suit everyone. There’s a reason that you saw so many buffet/make your own style food options above – it means that your guests have control over what they eat and can make sure they’re avoiding any potential allergens or things they can’t eat. Plus, it will also make your guests feel a lot more at ease as they’ll know exactly what they’re eating. And there you have it! These are just a few of our allergy friendly entertaining tips, but if you need some help be sure to get in touch! It’s hard at first, but I promise you it gets easier as you practice. Rebecca here again. Thank you Kristy! Such a wonderful post and I hope you all find it helpful! 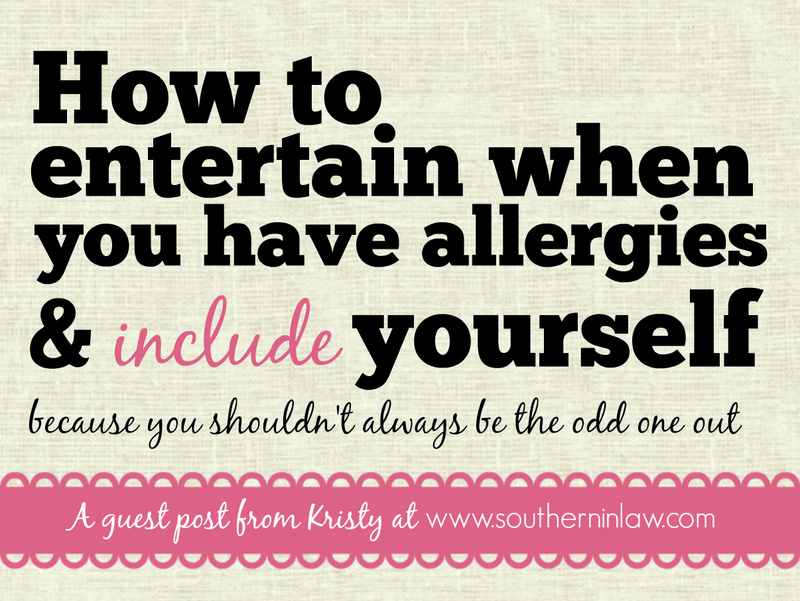 Have you ever had to entertain guests with food allergies? How did you handle it? If you have food allergies, what are some steps you take when eating out and about, to stay safe? Connect with Kristy and her husband Jessie!